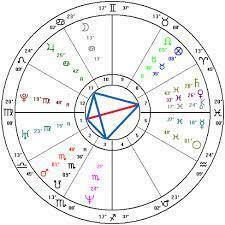 Analysis of birth chart on the basis of birth details, accurate Longitude Latitude of Birth Place. It contains general and specific analysis of the person. It may be brief as well as detailed report. The Horoscope or Birth-chart (popularly known as Janam Kundali) is a map of the heavenly bodies, which shows the positions of the planets and their relation at birth of a newborn taking into account, the time and place of birth. A birth chart is a must for any Vedic astrologer to make predictions. Bhagavath Praneeta Geeta Jyotisya And Vastu Kendra. Janam Kundali is believed to be the mirror of the life of a person, since the Vedic times. Other names for Janam Kundali are Birth chart and Vedic Birth Chart. Sometimes, Birth chart is also referred to as Horoscope. It is this chart which sums up the entire life of an individual. Astrological compatibility consideration is not only a mere ancestral practice but is a way to get the knowledge regarding the nature, features, love and the social communication features of the people. Unless and until a compatibility is found between the two persons they can't hold a life-long relationship happily. Astrology Birth Chart Reading based on your birth date and time with accurate future analysis. Quick remedies of any problem in your life.Horoscope matching with accurate analysis for marriage, business partners or deals. We, at Shree Shyam Sharnam Jyotish Anusandhan Parishad, is a renowned firm which is offering Birth chart reading services. The position of stars in the sky during the birth of an individual widely influences the destiny. These are responsible for the personality traits, strength, weakness, and several other things. Introducing children to books and authors in an exciting way followed by interactive activities. Online Astrology Phone Consultation with Astrologer Hitesh Sharma. He is Vedic Western Expert Astrologer with over 15 years of experience in judging 20000+ Kundlis and Horoscopes. Hitesh Sharma is most accurate in business astrology reading, love relationship astrology reading, in fact is is famous for in depth match making analysis. He also gives guidance on career, finance, property. On submitting you are accepting the Terms & Conditions of this website. We prepare detailed and short horoscopes using the modern computer softwares. Please do give us your birth details such as Birth Time, Birth Date, Birth Place etc. for personal horoscopes. We emphasize on detailed study of D-5, D-9 and D-10 charts of an individual. We also check the already-cast horoscopes for various vivaaha doshas such as Kuja (Manglik) Dosha, Sanidosha, Chandra - Sagraha Dosha and Bhrugu-Shatka dosha etc. and tender advice accordingly.